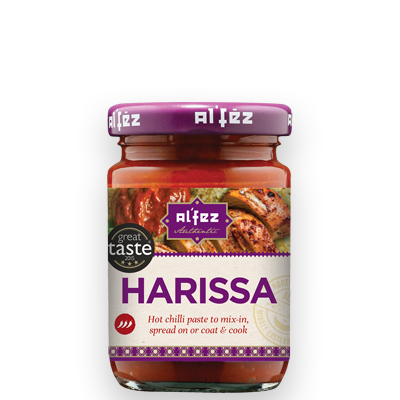 Harissa is a classic North African hot chilli paste made with Chilli, Tomato and Garlic. Traditionally used across Libya, Tunisia, Algeria and Morocco to add heat and flavour to stews, soups and tagines, this authentic blend of herbs and spices makes a delicious addition to a wide range of dishes. Mix a little into couscous or rice for an extra kick or add to mayonnaise to make a delicious spicy dip. Create a tasty marinade for meat or vegetables by combining Harissa with honey or yogurt and marinating in the refrigerator for at least an hour before cooking.